I'll often conclude a strategic planning meeting I've facilitated by saying, "Okay, you have a plan. Now let's discuss why you won't do it." Sometimes that comment elicits puzzled looks from participants, as if I had suggested starting over. But it may be the most important topic we cover during the whole process. Why? Anecdotal evidence indicates that most strategic plan actions fail for lack of execution. Sometimes this is due to unanticipated external developments. Sometimes it's an internal shift in emphasis. But most of the time, it's simple lack of follow-through. And in many cases this can be anticipated (if the planning team is bluntly honest). Thus one of my fundamental tenets of strategic planning: Don't plan what you won't do. Think you need to overhaul your business development process? Need a more structured approach to quality assurance? Need to improve how you do professional development? It's not a matter of need; it's a matter of do. Having a plan only helps when you follow it. Plans that exceed a firm's execution capacity may feel productive for awhile ("we're addressing some needed actions"). But I've found them to be counterproductive over time because skepticism sets in. Past failures lower expectations that in turn undermine future execution. Successful strategy usually requires a large measure of faith—people have to believe that it will work. A track record for over-ambitious plans that weren't acted on ultimately destroys faith in the latest strategic plan. It's the elephant in the room that many executive planning teams don't want to acknowledge. So how do you break this vicious cycle? Focus on the few things that matter most, and that you're willing to absolutely commit to doing. Of course, any plan must remain flexible, modified as necessary to respond to changing circumstances. But the thing you want to avoid is lack of ongoing effort. Organization. 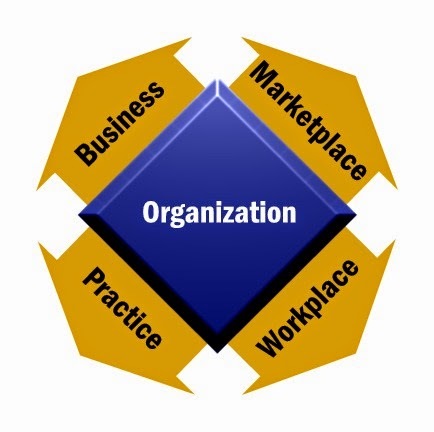 This refers to the organizational culture, structure, and functions that are at the heart of everything you do. This is a good place to start because organizational issues are often at the root of implementation deficiencies. relationships, and business development process. Most strategic plans, of course, devote the greatest attention to this facet of your business. Workplace. This is the environment, policies, and compensation created to attract and retain talented and loyal employees. Given the long-term projected shortage of technical professionals, this has emerged as a critical strategic issue (assuming an eventual return to real economic growth). Business. This relates to the company's financial management and performance, shareholder value, risk management, and ownership issues. The latter issue has been a driving force in our business, leading to many mergers and acquisitions. Don't feel compelled to define a priority initiative for all five operational areas. These simply provide a structure for assessing your most important strategic issues. Define the strategies needed to address these priority issues. For each, outline goals and how you will achieve those goals. This is still a discussion of strategy at this point, so don't get bogged down in the details of implementation (check out this previous post for a definition of strategy). Prioritize your candidate strategic initiatives. This step is often difficult for firms. "They're all important" is a common response I hear. In most firms, there are many important matters that need attention. But trying to tackle all of them at once is usually a recipe for failure. Better to list them from most to less important so you can choose which to do. Determine how many of the strategic initiatives you can reasonably handle. This should involve a rough estimate of the level of effort for each and an honest assessment of your collective "strategic capacity." There is often a greater urgency associated with some strategic initiatives versus others, so that may drive your decision. Some firms settle on only one or two initiatives because they know these have to succeed and can't be delayed. Specifically budgeting people's time. Too often, plan implementation is dependent on people donating nonbillable hours when they "get around to it." With pressures to keep billable and other demands on their time, it's no wonder so little gets accomplished. If it's important, you need to budget their time and give it the same importance as project work. Deciding what you're willing to give up. A common mistake firms make is to continue heaping new responsibilities on their best people without offloading anything. It simply doesn't work! Once you've defined the level of effort needed to implement the plan and who's responsible, determine what responsibilities they are going to give up to allow them the time needed for their new assignment. Assign an "implementation czar." As soon as your planning retreat is over and everyone returns to the office, other matters will supersede the assignments made. One individual per initiative needs to lead the effort, monitor progress, hold people accountable, and keep the management team involved. You might even consider an outside facilitator, a role I've played with success in the past.